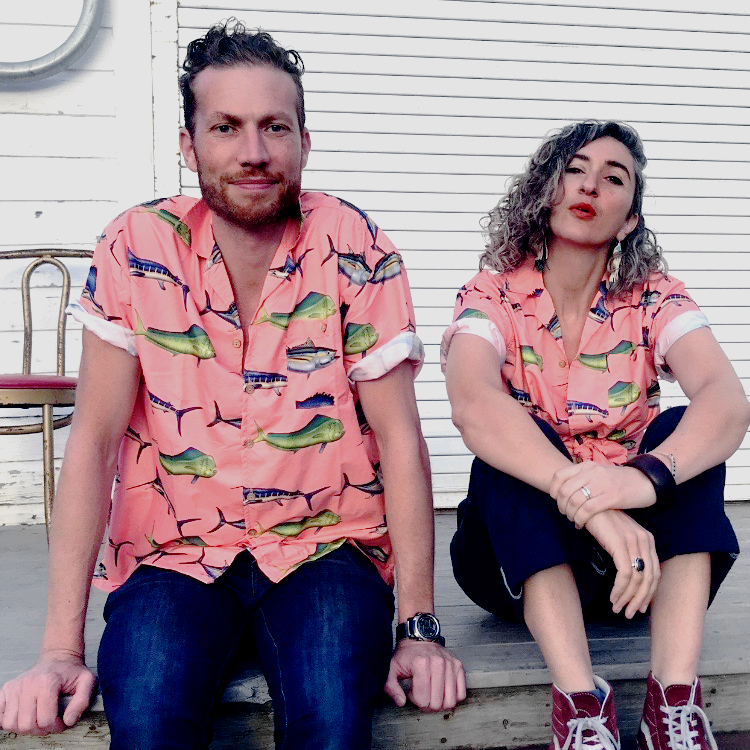 Mama Kin Spender (MKS) is a collaboration between artists Danielle Caruana (Mama Kin) & Tommy Spender (Spender) who each have established independent careers as artists. Friends for many years, they have come together to create a stripped back duo of brooding guitars, primal drums and howling harmonies that is illuminated by a chorus of singers. Part of the MKS recording and subsequent performance model is to engage with locally based choirs in the towns that they perform in; to engage directly with the communities they tour to and experience the different sound of every place. 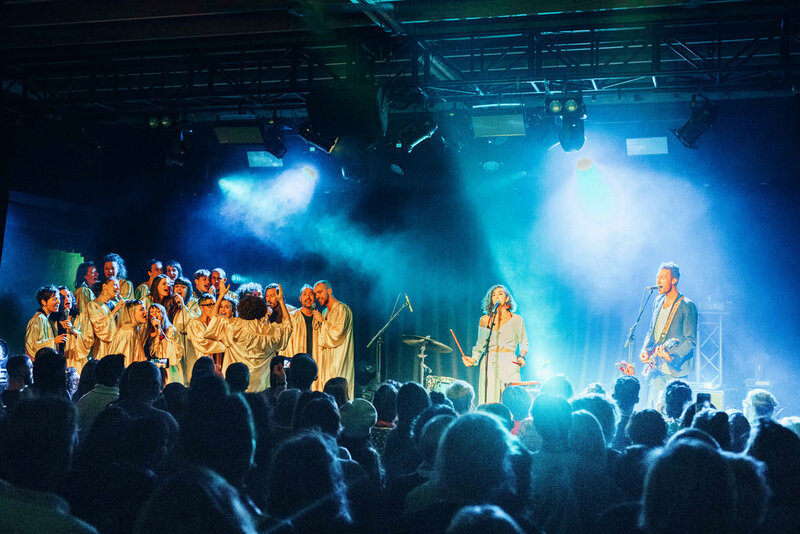 The album “Golden Magnetic”, released in February 2018, was written with this concept in mind, and choir master Virginia Bott was engaged from the outset to develop the choral arrangements for the album and the live touring model. MKS have found that this model of local choir engagement builds audiences, brings artistic excellence to regions and engages communities in a meaningful way with the Arts. Mama Kin has shared stages nationally and internationally with the likes of Gurrumul, The John Butler Trio, Katy Perry, The Cat Empire, Ani Di Franco, and The Waifs. With a widespread reputation for her unique blend of foot-stomping soul and heart-wrenching ballads, Mama Kin is part raconteur and all-out entertainer. Her career has taken her to club shows and festival performances throughout France, UK, Ireland, Malta, Belgium, Germany, Canada, New Zealand and of course her home ground Australia. Her first commercial single ‘Tore My Heart Out’ was named ITUNES Single of The Week. Her sophomore album The Magician’s daughter was nominated for AIR (Australian Independent Records) and ARIA (Australian Music Industry) Awards, and she was awarded a WAMI (Western Australian Music Industry Award). Mama Kin has now joined forces with long-time collaborator Tommy Spender for her latest creative project Mama Kin Spender. Tom Spender has been working as a professional musician and producer for over 18 years. Completing an advanced diploma in improvisation in 2002. He is a professional screen composer and has composed music for a large variety of clients including Puma, Ford, Olympus, McDonalds and Sony. He has performed at many festivals in Australia, Japan, Singapore, French Polynesia and France and has worked as a session musician for a variety of different acts and composed music for a feature film, Westwind 2017. He has worked as producer and co-writer with many international renowned artists including, Gotye, Kimbra, Dani Siciliano, Lior, Bertie Blackman. He has worked on a large variety of live projects with bands like Offcutts, The Sneaker Trio, The Custom Kings, Clare Bowditch, Dani Sicilliano, Bertie Blackman, Bomba. Mama Kin Spender. They released their debut album ‘Golden Magnetic’ in February 2018.